Last fall, Charity Goodall-Smith began making arrangements for her son, Tacoda Goodall, to wear an eagle feather and beaded cap at his graduation from Midway High School (in Waco, Texas). Charity and Tacoda are citizens of the Cherokee Nation. In Cherokee religion, eagle feathers are given to individuals to mark and honor significant life accomplishments, such as graduation. “This is a big deal for me and for my family—for my culture,” Ms. Goodall-Smith explained. The school agreed to allow Tacoda to wear his religious items during graduation. Charity and Tacoda are not alone. 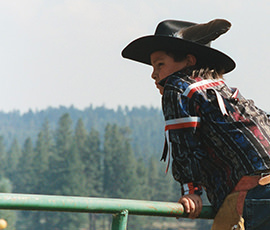 Many Native communities consider eagles to be spiritually significant. They believe that, as eagles roam the sky, they have a special connection with God. Their feathers represent honesty, truth, majesty, strength, courage, wisdom, power, and freedom. The United States government has long recognized the importance of eagles for Native religious and spiritual beliefs. Accordingly, Ms. Goodall-Smith arranged for her son to be given an eagle feather to wear during graduation. The eagle feather was prepared and blessed before the graduation ceremony as has been the practice since time immemorial. In May 2018, Tacoda graduated. His mother proudly celebrated his hard work and academic accomplishment and presented him with his beaded cap and eagle feather. But, as Tacoda prepared to walk in the opening processional, a school official told him that he would not be allowed to participate while wearing the decorated mortarboard and feather. 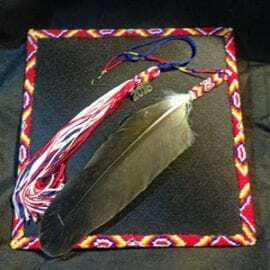 If he wanted to participate in the graduation ceremony, Tacoda had to give his sacred eagle feather and beaded cap to a stranger who was staffing the graduation and change to an unadorned cap. As Tacoda stood in line, he was forced to abandon his cultural and religious practice in order to participate in his graduation, a once-in-a-lifetime event, with a plain mortar board. Embarrassed and hurt, Tacoda proceeded through the graduation without his religious items. After the graduation, Ms. Goodall-Smith met with school officials about the incident. The Goodalls wanted to make sure that this disregard for cultural and religious beliefs does not happen again to someone else, and they contacted the Native American Rights Fund for assistance. In October, NARF, with co-counsel Daniel Gomez and Ashley Selwyn of Conner & Winters, notified the Texas Education Agency, the Midway Independent School District, and Midway High School of the Goodall’s claim for violation of Texas and federal religious freedom laws. The Goodalls have requested that the district and school collaborate with them to develop and implement appropriate cultural awareness training and to amend all policies necessary to permit American Indian students to wear tribal regalia, including eagle feathers and beaded caps, at graduation ceremonies. 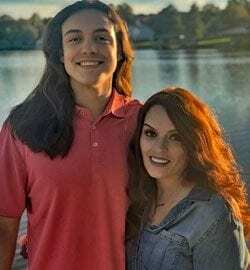 The Goodalls are hopeful for a positive and beneficial outcome to this heartbreaking incident and await a response from the school and school district.